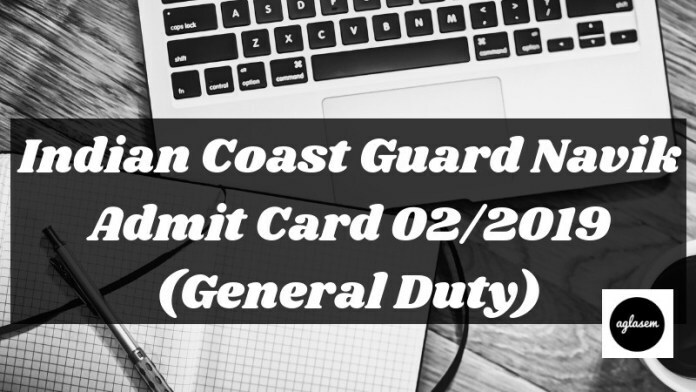 Indian Coast Guard Navik Admit Card 02/2019 (General Duty) – Indian Coast Guard has re-released the Indian Coast Guard Navik GD Admit Card 02/2019 on April 05, 2019. The admit has been made available at the official website i.e. joinindiancoastgurad.gov.in. The written examination will be held on May 07, 2019. For downloading the Indian Coast Guard Navik Admit Card 02/2019 (General Duty) candidates will need to mention the Application Number or E-mail ID on the login page. Get full information regarding Indian Coast Guard Navik Admit Card 02/2019 (General Duty) here. Latest: Indian Coast Guard Navik Admit Card 02/2019 for written examination has been re-released. Scroll down to access the link. Admit Card is the Key to enter in the examination hall. The candidates who have submitted their application form till the last date for those candidates only admit card has been issued. Candidates can only use online mode for downloading the Indian Coast Guard Navik GD Admit Card 02/2019. Admit Card will be not sent by e-mail or post. For more information regarding Indian Coast Guard Navik Admit Card 02/2019 (General Duty) check the schedule given below. Admit Card: Click Here to download the Indian Coast Guard Navik Admit Card 02/2019 (General Duty). 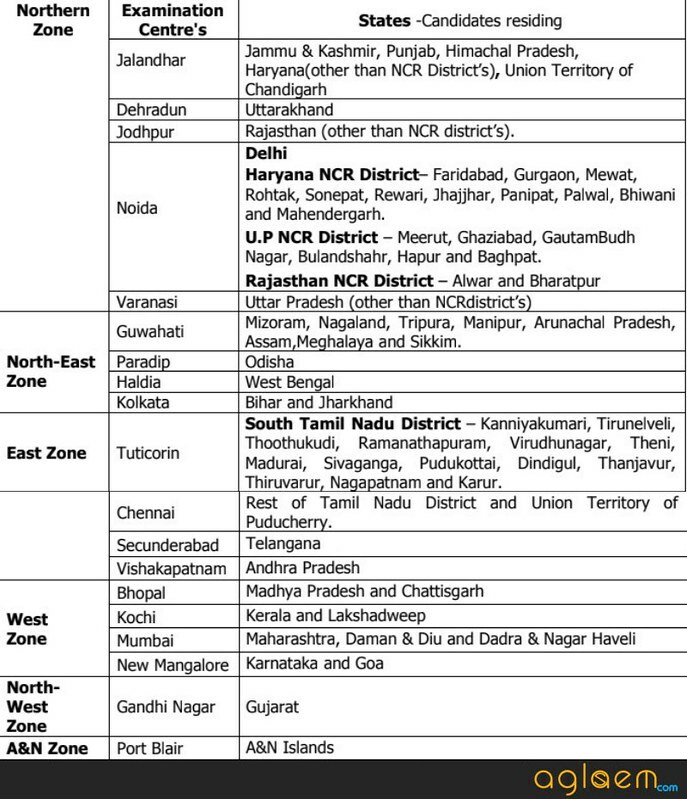 The Indian Coast Gurad has released the revised exaination schedule of Indian Coast Guard Navik 02/2019. The candidates who are participating in the exam can check the exam date from here. The candidates who have registered for Indian Coast Guard Navik 02/2019 before or till the last date for those candidates only admit card has been issued. The candidates who will not carry the hard copy of the admit card on the day of the examination those will be not allowed to appear for the examination. Candidates can follow the steps given below downloading the admit card. How To Download Indian Coast Guard Navik Admit Card 02/2019 (General Duty)? Candidates can follow the steps given below for downloading the admit card. After downloading the Indian Coast Guard Navik Admit Card 02/2019 (General Duty) candidates should take the print out it for future reference. Thereafter, the login page will appear on the new screen. In the login, page candidates have to mention the Registration Number or E-mail ID. Thereafter, Indian Cost GD Admit Card 02/2019 page will open on the screen. Click at the download option for downloading the Indian Coast Guard Navik Admit Card 02/2019 (General Duty). From below candidates can check the details which are mentioned on the Indian Coast Guard Admit Card 02/2019 (General Duty). After downloading the Indian Coast Guard Navik Admit Card 02/2019 (General Duty) candidates should check the details mentioned on it. The details which are mentioned on the admit card should match from the details which were mentioned by you in the Indian Coast Guard Navik Application Form 02/2019 (General Duty). If the mentioned detail is not matching from the application form or containing false details then you should immediately contact the releasing authority of the Indian Cost GD Admit Card 02/2019 by 09:00 am to 05:00 pm from Monday To Friday only. The candidates should carry the below-mentioned documents on the day of the written examination. The candidates who will fail to provide the required documents those will be not allowed to appear for the Indian Cost GD 02/2019 Examination. Three hard copies of Online e-admit card with the latest photograph affixed. Original Class 10th and 12th pass certificate and mark sheet. Original Caste certificate (if applicable) /Domicile certificate of their respective state issued by Tehsildar/Sub District Magistrate / District Magistrate. One valid ID proof (passport, driving license, Aadhar card/ voter I card, Pan card, School/ college ID). For OBC candidates – Caste Certificate not older than 3 years. Ten recent color passport size photographs with a Blue background. Before starting the preparation candidates should first read the exam pattern this helps the candidates to know about the examination mode, subject details, questions standards etc. From below candidates can check the detailed Exam Pattern For Indian Coast Guard Navik 02/2019 (General Duty). Subjects- Maths, Physics, basic Chemistry, knowledge of English, general knowledge, current affairs, quantitative aptitude, and reasoning etc. The higher authority has the rights to cancel/reconduct the examination of a particular Centre or change the Centre of the candidates for official/other reasons. The candidates who will qualify the written examination for those candidates admit card for PFT will be issued. The Indian Cost GD Admit Card 02/2019 will be issued on the official website. The candidates should carry their admit card on the day of the examination. Candidates can follow the steps given above for downloading the admit card. Running – 1.6 Km in 7 minutes.